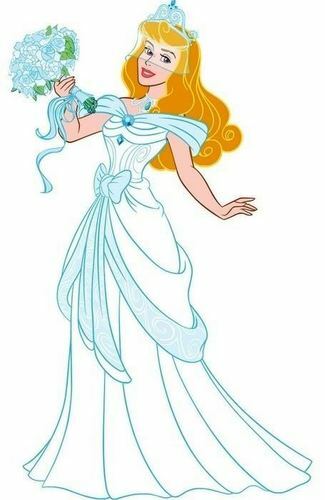 ♥Princess Aurora♥. . Wallpaper and background images in the Princess Aurora club tagged: disney sleeping beauty princess aurora. OMG ! what a dress ! he,he!I'm sure you were a gorgeous bride! Doesn't matter!You are gorgeous anyway! Thank you for your words!!!!!!!!! Yes,it is this evening,at 20:30! Well,here is now just 16:30:)There? Lol!And you're in my past?! Yes:)Both of you are in my past with one hour! LOL!Would you like to see in the future? Do you sleep enough during night ? but not too much ! Then tonight go to bed early (but I don't think so because Titanic is a long movie) ! Probably I will dream with me on Titanic!Lol!Thank you for your wishes! omg ! I don't want a nightmare for you !!! Don't worry,dear Sylvie!I will not have one!I don't want to worry you neither! I'm not worried because I know you will never go on Titanic :) Only by dreams, then you are safe !!! I love this Lady ! So beautiful heart like Michael !!! but sure I will remember this day all my life ! So,you bought Michael's new album? I didn't told you,but you remember our record?Well,a person left a comment to the photo!He said he thought it was a error when he read 85 comments,lol! Good start for 2011 ! Yes,yes!A great start,lol!With a new record!We can beat the other one! LOL!This picture with the outfit and the others are from a game,if I'm not wrong! Yes!That dress is so wonderful and beautiful like you!But you're more beautiful!